Unfortunately the more I use this monitor for testing the more I find small flaws that plague it and that drive me nuts. I prefer the smaller and unassuming TM-H in many ways, shame they are 15kHz only. Hi guys, I am the lucky owner of a 19" DT-V. But I am having problems with using it for RGB. I have the IFC01COMG and two other cards for it (SDI & Composite). *The tube is fine because I fed in my snes through composite and the image and colors are perfect. *I am using a Mame CRT_Emudriver setup that works perfectly with my other monitors. *I have two IFC01COMG's, I have tried both, in all 3 slots that the DT-V 19 has, but I get the same result (both IFC01s also work fine in every other JVC monitor I have had/have). *Even though it wont let me use any of the buttons in RGB mode, I dont think this is stuck in a green color check. It looks like a lighter shade of green, and you can see other colors slightly on screen. Did you change the sync from internal to external? Or vice versa. Press down and left, then function settings > INT/EXT. I usually get this result or no picture when I don't have the correct sync settings set. edit: I know you said that you can't use any of the buttons in RGB mode, I don't think thats normal. Try this menu though (down and left) - it should work. 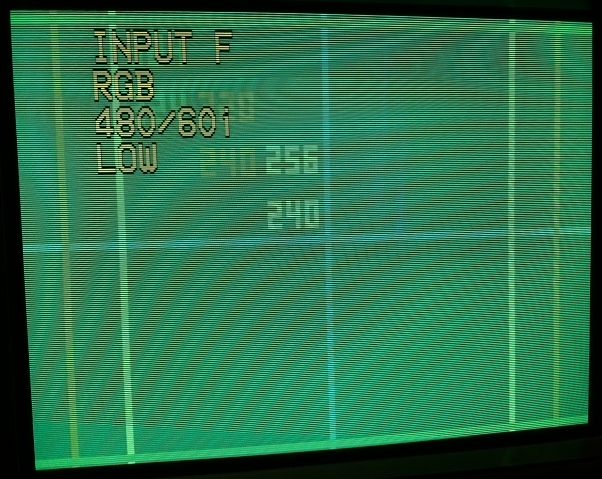 I get the same green tint on PS2 if I use GSM and try a VGA preset. Using HDTV preset produces the correct colors. Strangely enough, using a PC with VGA to BNC produces the correct colors also. Would a dual frequency oscillator mod for an MVS improve the compatibility with the monitor? So it's closer to 60Hz refresh rate as opposed to ~59.1Hz. 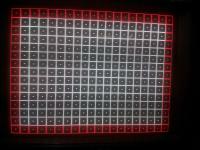 I've read that it helps with the FM but I'm not sure if CRTs can benefit from it too. I've wondered that myself. What's strange is when using groovymame (which can output the exact refresh rate and resolution of the original game) The monitor has no skew whatsoever with Neo-Geo games. Looks perfect. So if its not the odd refresh rate then maybe it really is the same problem as the PCE and it comes down to subpar sync signal. I can't actually find much about that DFO mod for MVS anyway, and from what I've read it's complicated so not something I can just the ask the person doing my CMVS to just add in the meantime. Anyone know how to modify h linearity ? the left square on the grid are too big. In service menu there is only v linearity setting. I mentioned earlier in this thread that I couldn't TATE this monitor without discoloration. 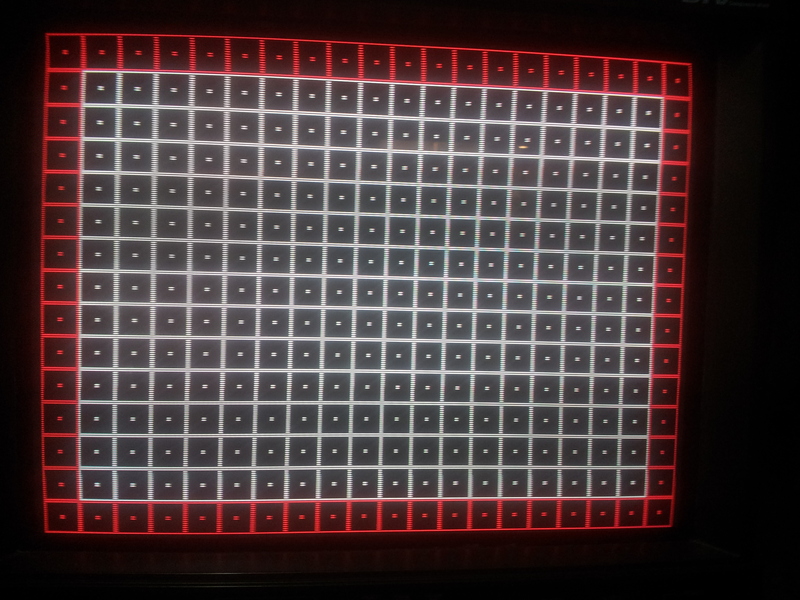 I tried it again at my new place and I found that if the monitor is facing east/west there is still a very, very slight discoloration in the corner but it's much worse when facing the CRT north/south. I tried to tate my DT-V the other day too.. And now it has a blue discolouration in the top right hand corner (visible on solid red background). The degauss button and startup degauss does not get rid of it, how did you remove it? I am guessing a degaussing wand? for me the discoloration went away after putting it back to horizontal. I turned off the monitor, rotated it back to normal, unplugged it and let it sit for about 30 minutes. I didn't need to use a wand. I wonder if the degauss button even works on my monitor... When I press it, the screen will say "Degaussing!" but it doesn't actually "shake" like other monitors with a degauss button. It probably doesn't, then. My 19" TM-H has a bad degauss circuit. I manually degaussed it with a stack of neodymium magnets on a steel needle file and spun it like a propeller from the center of the screen outward. Hmm, I did the same (unplugged everything whilst rotating it etc) but it still managed to get discoloured. I just didn't let it sit for 30 mins. I guess I'll just try to pickup a wand. Yes that sounds like your degauss button doesn't work but from what I remember the TM-H degausses on start up (unless it's not just the button as Einz said above). Also, hopefully someone who has done this or knows more can chime in. I think one of these is the horizontal linearity coil but don't know which, another member told me it should have a magnet inside? Anyone know about this? I'm curious what colour temperature people have their DTV's set to? I spend some time reading the 63k vs the 93k thread so that's where I'm coming from. Personally the warmer 63k has always seemed off to me when I've tried it on any game or console. Just too yellow where there's meant to be white... It probably means that my monitor needs calibration but oh well. And as far as 93k putting more wear on the monitor well yeah, but I think it can take some extra wear from my now scarce one to two hour play sessions. The linearity coil is on the main chassis and can't be adjusted. And regarding color temperature, I like 9300 more than 6500 too. I can't find any source stating that a higher color temp/colder white may cause phosphors to degrade at a faster rate, but even if true (blue phoshors age sooner perhaps? ), I'd bet it's not going to be significant when you consider the typical usage scenario.. no one here plays several dozens of hours per week I guess But in this case, lowering contrast and brightness a bit surely matters more than changing the color temp. Can you explain more? I was told that these two coils in the picture I shared can change the horizontal linearity. Are you sure this one you are referring to is horizontal not vertical? I would not pay more than £300 ($410) maximum. Assuming it is low hours too. The coils and other adjustments on the yoke are for dynamic convergence. The linearity coil on every monitor is on the chassis in series with the horizontal yoke (so in the flyback area) and is magnetically biased (all other coils have a ferrite core) and it often has a sleeve with a band marking its polarity (or three legs so it can't be mounted incorrectly). The magnet on its top is glued after the best linearity is obtained by rotating it. It can't be adjusted anymore after that. I wouldn't pay anywhere near that much, personally. If it had the component card, I'd go to like $250-300. But also I'd only be seeking the 19 anyway. But I also already have plenty of monitors. Understood, thank you. That's a shame because so many of these DT-V's that I've seen need horizontal linearity adjustments. I assume that it is glued in the factory, I'll have to check mine next time I open it up. I agree, I would not pay it either but prices are unfortunately pretty high right now. If it were my first monitor I would rather pay £250-300 for a DT-V and £60 or so for the clone card as opposed to a 20F1E which are currently selling for £500-600 right now... It's stupid, I know. If you are talking about the real RGB/Component card it's like £100 min. by itself here in EU, so I don't think grabbing the monitor + card for $250-300 is actually possible... At least on eBay. Outside of that it's of course completely different ball game, just gotta get lucky! On the Saturn, does the picture slightly wobble, and is the screen slightly jittery on the MD? I'm just trying to get an idea if this is just another of the monitors quirks or if there's something wrong with mine. Thanks. Yes this happens on some people's DT-V's but lucky it is not very noticeable. There is no definitive solution but some people used Extron RXI interfaces to remove the wobble and in some cases it was console power bricks or power outlets causing interference. As for the slightly wobbling image yes it's definitely on PS2 and Saturn. For Genesis I thought not but will double check... Doesn't the Extron unit in-between give you other weird problems like skew on PS2 for eg.? Although I never have tried using it in RGBHV output, does that mean you're using both inputs for sync on the RGB card? I picked from my box a 1710 but the horizontal linearity on left side is not good. that why i have asked the question a few days ago.